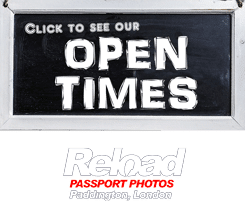 Welcome to Reload Internet where we can snap, print and prepare your Paraguay passport photo and visa photo at our professional passport photo studio in Paddington, London. We are situated on the same street as Paddington train station and tube station, and stay open throughout the week. We open early in the morning and close late at night, even on a Sunday we close at 8pm, so you can come and visit our store to have your Paraguay passport photo or visa photo taken at time that suits you. 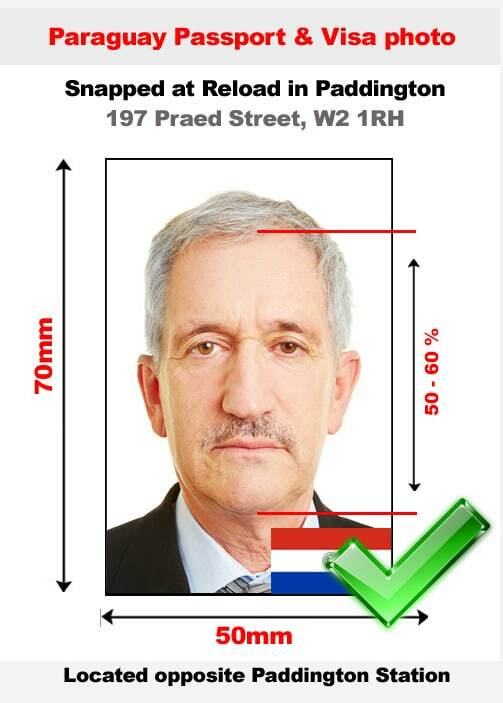 If you need a Paraguay passport photo or visa photo, we are your best option. We will help you avoid delays that could occur with your passport or visa application by making sure the photos you send meet the Paraguayan Embassy’s requirements. We also take your photos clearly so you don’t have any problems when entering Paraguay. You have to make sure that the set of photos that you submit with your application are high quality, if not, it may be rejected by the Embassy of Paraguay. Instant-print photo kiosks don’t usually take pictures that meet the quality of standard required for your application to be accepted. A huge amount of customers who have been rejected have come to us, and we have happily helped them. Our shop has embassy approved digital printers, lighting equipment, and professional photographers, which are the perfect elements to get your passport application approved. We take, prepare and print your Paraguay passport photo or visa photo in less than 10 minutes while you comfortably wait in our store. The photos you send should have been taken during the six months prior to the application and there can’t be any reflections that affect the photograph’s quality. If you photographs do not meet all of the specifications listed below then it is extremely likely that your application will be rejected at the Embassy of Paraguay. Two 50 mm x 70 mm identical photographs must be submitted. The background must be white and without patterns. The face must cover 60 % – 80 % of the photo. The size of the head should be 42 mm to 56 mm from crown to chin. The applicant must look at the camera directly. Your eyes must be clearly open and visible. The camera lens must be at the eye level of the applicant. The photo should be printed on a high-quality paper with a print resolution of 600 dpi. Photos must be in color. Headwear is not permitted unless it’s being used for religious reasons. At Reload internet, we use Embassy guidelines, which guarantees that all of the passport or visa photos we take are approved the first time. We won’t let your application get refused because of the photo. We receive our specifications from the Paraguayan Embassy’s guidelines on passport and visa photographs which you can find here.